Paul Bloomer was born (1966) and bought up in the industrial Black Country of England. He studied painting at post graduate level at the Royal Academy Schools in London and in 1997 moved to the Shetland Isles where he set up his studio as well as lecturing in art at Shetland College UHI. Bloomer regularly exhibits nationwide, and his work is held in many public collections such as Shetland Museum, Dudley art Gallery, New Art Gallery Walsall, Wolverhampton Art Gallery, Barnett Council, Grampian Hospitals Art Trust, Kings Hospital London, Free Fields Collection and the Ruth Bochard Collection. 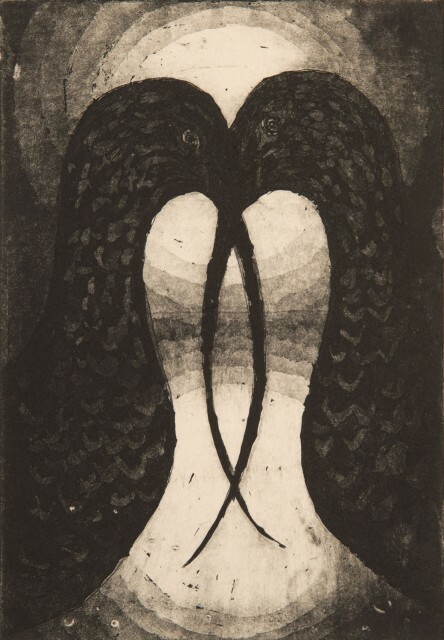 Bloomer's mastery of printmaking and intense connection to his subject come to the fore in his latest body of work, inspired by Goya’s celebrated series of etchings Los caprichos. His incredible skill, social conscience and love of nature forge a unique vision of the world.